In 1965, after attending art school in Seattle, I began my professional art career as a Fashion Illustrator for major department stores in Seattle and San Francisco. 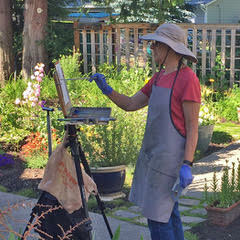 Raising two children, cut flowers and vegetables for the Seattle Pike Place Market and a flock of sheep for spinning and knitting resulted in a twenty-year sabbatical from two-dimensional art. In 1990 I purchased colored pencils and for the next dozen years I explored still life subjects in that medium, served as President of the Colored Pencil Society of America and went on to coauthor Colored Pencil Solution Book. It was with this medium that I began to establish gallery connections throughout the Pacific Northwest and began teaching workshops at my Studio, Frye Art Museum - Seattle and Sitka Center for Art & Ecology – Oregon. 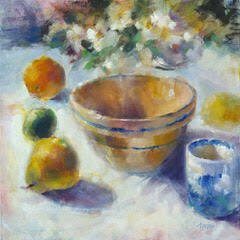 For many years I admired the spontaneous look possible with soft pastel. 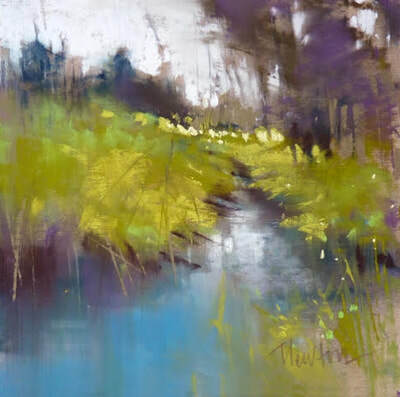 I began exploration with pastel and with a new subject - the landscape. 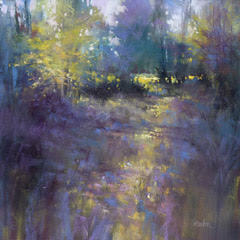 I fell in love with the medium and the subject and in 2003 I had my first gallery show of pastel work. 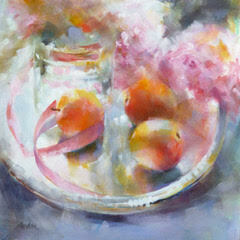 In 2012, I authored Pastel Drawing: Expert Answers. 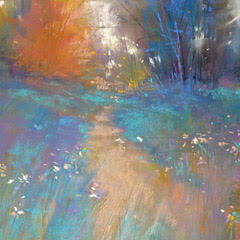 My love of pastel continues to this day though I have spent periods of time over the last few years painting in oil. In retrospect, I seem to have a history of exploring a medium to exhaustion, taking a break, and beginning again with a new focus. 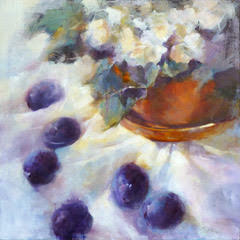 My expression of relationships – color to form, object to subject, shadow to light - remain constants throughout my work.